Painless Claims Settlement with Insurance Companies. 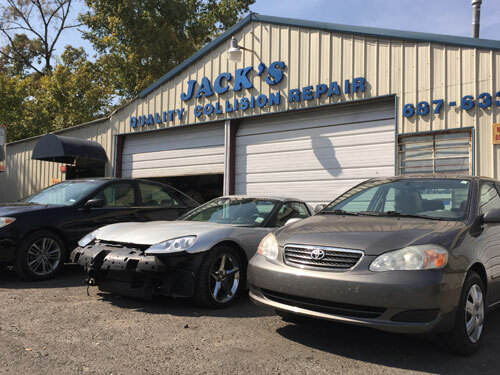 Jack's Quality Collision is a Certified Repair Facility for most insurance companies, which simplifies the insurance claim process. Estimating software is updated monthly for all makes and models of domestic and foreign vehicles. You are not required by law to obtain more than one body shop estimate or appraisal for repairs. Your insurance company can not require you to go to a particular auto-body shop. Differences in auto repair estimates are common. A lower estimate may not include all the repair work necessary to restore your car to pre-accident condition. Ask if the body shop will be using genuine manufacture (OEM) replacement parts. Let us help you negotiate your collision claim with the insurance company. Call us today or stop by our shop.